Love yourself first before anyone gives you love. Love is the only way to live your life happily and peacefully. Love is the only way to unite you and your world. If there is love, there is happiness and peace in your life and world. And if there is no love, there is only unhappiness and chaos in your life and world. Love is always dwelling inside you. You’ll never find it anywhere in the world. Find your love within you. Learn to love yourself first. Don’t wait for anyone to love you. Don’t expect love from anyone. Love yourself. 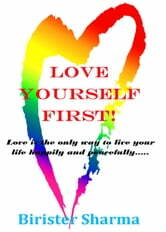 Only you can love yourself best. 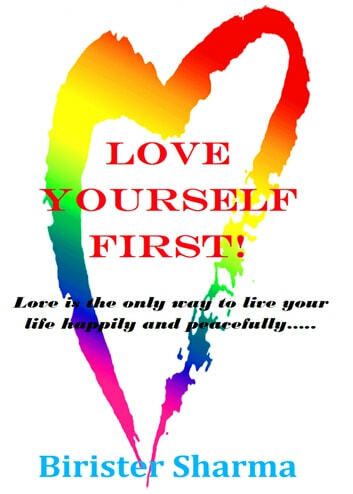 If you love yourself, you’ll never commit anything wrong in your entire life. You’ll never try to harm yourself; you’ll love your life; you’ll love your world; you’ll love your beloved ones and families; you’ll love your work; and you’ll love everything that connected to your life and world. Livres similaires à Love Yourself First! Love is the only way to live your life happily and peacefully…..